You must make reservations at least 5 minutes in advance of the time at Dinner for Two. 6 spots at the front entrance, as well as a private lot "Yates Place" 50 feet west on W. San Francisco Street. Dinner for Two is four blocks from the train station; And on the walking path to the Plaza along Guadalupe and San Fransisco Streets. Friday, Saturday, and Sunday evenings we have classical guitar. Our music accompanies dinner & conversation. Our catering is always a favorite. We meet your highest expectations and the price point that you require. A wide variety of choices to make all your party members happy. 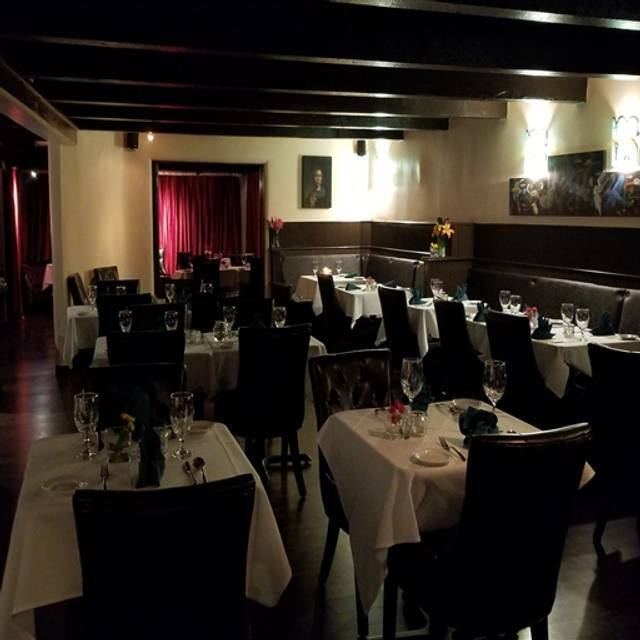 Dinner for Two is a family owned restaurant that has a comfortable, intimate atmosphere for parties large or small. We specialise in Prime cuts of beef filet mignon ribeye New York strip and tableside presentations like Caesar salad and Chateaubriand local 'regulars' call us "a great value in fine dining". 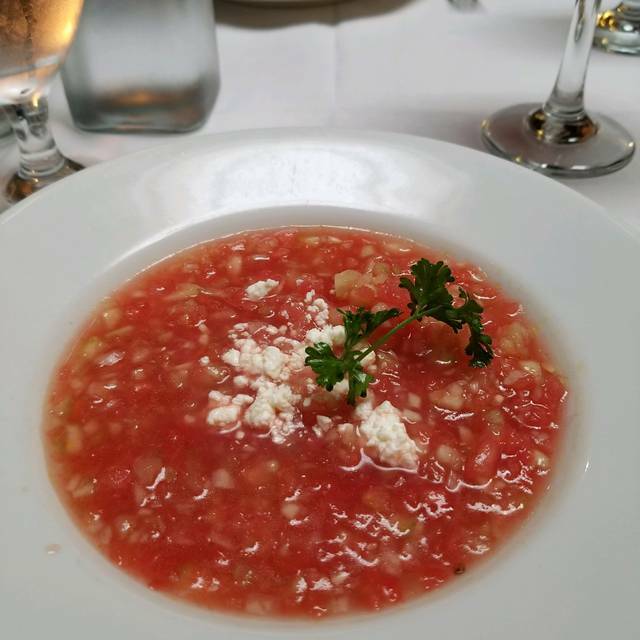 Multi-award winning: including Wine Spectator and "top 10 in southwest" We are happy to host dinners for organizations, or private celebrations from 2 to 60, everything is made in-house so special diets are easily accommodated: allergies, gluten free, etc. "Excellent Food and Service at a Reasonable Price"
Prepared Tableside As it should be! Served From 4-9 pm Every Sunday for 13 years. House Made Bread, Choose from 8 Entrees, Several Dessert Choices, included with Dinner! Food and service were great. The so called music left a lot to be desired! We enjoyed the restaurant and food, would recommend it for nice, relaxing meal with a quality menu. The food is good and the wines very reasonable. The issue is service. Understaffing or kitchen meltdown we don’t know, but our Saturday evening had us waiting 45 minutes between salad—a poor at-table Caesar—and tepid entrees, and wait staff was racing madly, as was oenophile cleared our table. Just be prepared for inconsistency and enjoy the journey. Great food, great service. We will definitely return. Always a pleasure and their Sunday night special is great. I was initially apprehensive because it took longer than expected to get a server to ask us for our drink order, after we were seated. Once the server came over, he was friendly and good humored. The food was fresh, well prepared, and scrumptious! We were very pleased that the fixed price menu entrees were so varied (i.e., chicken, seafood, beef, lamb). The oyster mushroom soup, with just a hint of spiciness, was delicious! Also, we were pleased with the dessert selection. My partner and I were celebrating our one year anniversary. Dinner for Two was a wonderful and appropriate restaurant for our celebratory meal. We're local to Santa Fe and went there for our anniversary. It was a Saturday night, so I guess we should have expected a rowdy crowd, but I remembered the restaurant being more intimate. The loud table next to us was very distracting. Not sure we'll be back.. The food was excellent, but didn't quite make up for the overall experience. Wonderful place to have Anniversary dinner! Bananas Foster delicious!!! I got the steak and it was cooked absolutely perfect- wonderfully melt in the mouth. The side dishes where tasty as well. 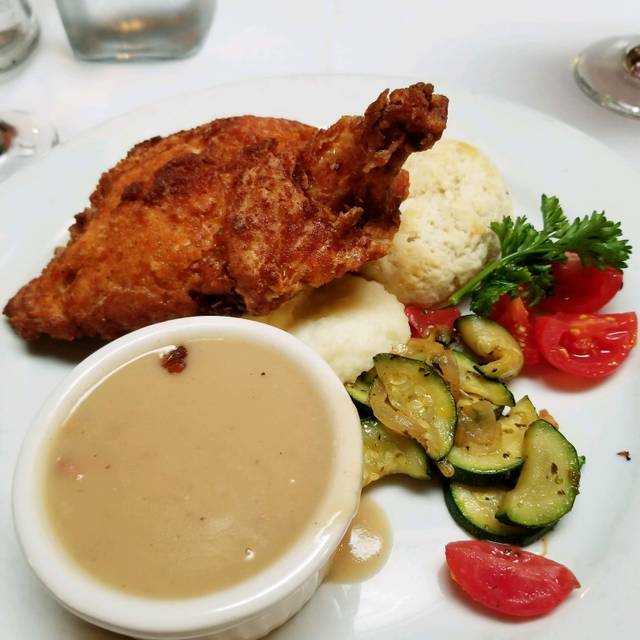 My dinning partner got the “frenched” chicken and was pleasantly surprised. The atmosphere was a wonderfully unique off-French experience. Overall 10/10 would recommend. Good menu. Not identical to web posting. Prix-fixe Sunday dinner menu and greeted with "we only have a few dessert selections left. Good ambience. Reasonable place to eat. Food is excellent. 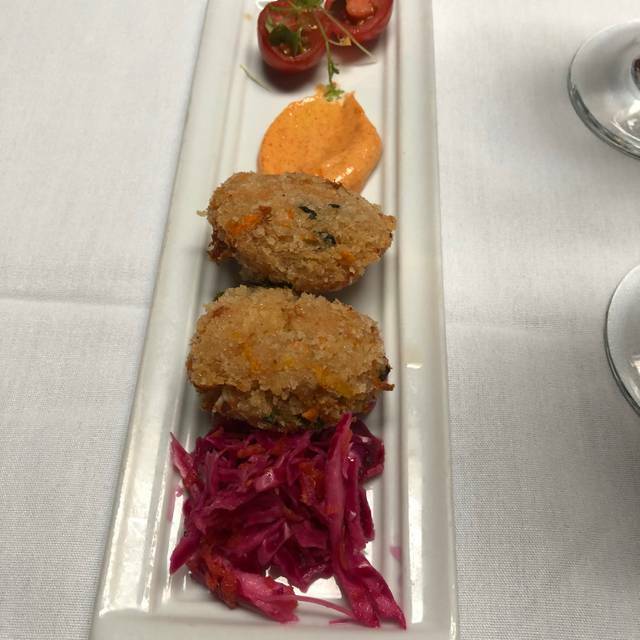 Best crab cakes. And best oyster mushroom soup. Fantastic service and a great menu. They really like to please their customers and so many keep coming back again and again. 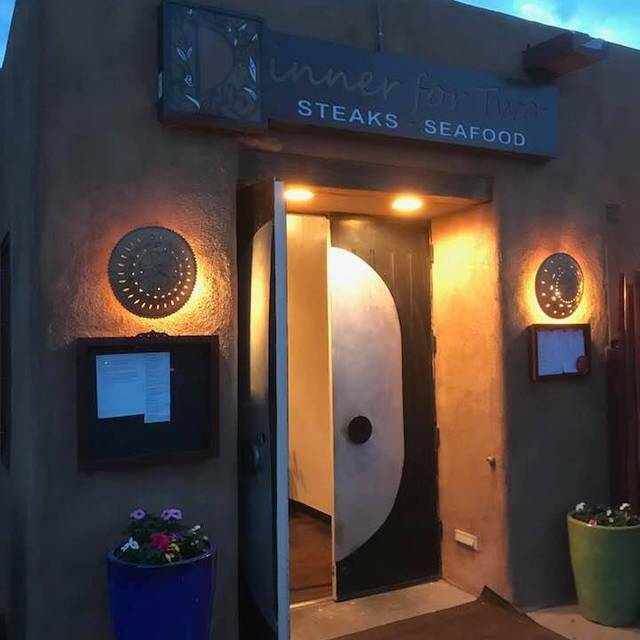 A Santa Fe gem run by a true entrepreneur! Our 19th anniversary made even more perfect by a fantastic meal with great service. We enjoyed the Caesar salad and Chateaubriand for two made tableside. Carrot cake for dessert. Everything was absolutely delicious. Just phenomenal! My wife and I had a date night while the teens went out for pizza. Everything was perfect. Would highly recommend the smoked prime rib and the Caesar salad is a must. A wonderful anniversary dinner. Had appetizers at the bar & then a delicious prime rib dinner followed by bananas foster. A terrific evening. Sunday 3 course dinner special is a treat, lots of choices. BUT they have developed a very annoying policy. Dinner is served with one small piece of bread per person, and then they want $3 to get two more small pieces each time. SERIOUSLY!. It's rude to nickel and dime your customers, D42, don't take after the airlines, please! The food was delicious; those cornbread muffins melted in our mouths (we had 3 orders 😉). Our steaks were cooked perfectly. Great food and outstanding bar service. Meal a bit slow with minimal interaction with the waiter. Overall, highly recommended. The food and service were outstanding, but couldn’t talk across the table due to ambient noise (even when guitarist wasn’t playing). We will inquire before returning, whether there is live entertainment, and also request a quiet location. The menu prices would let one think the restaurant will be elegantly mindful of a reasonable need for conversation. Service was great. Met the new owner, Andy who took the time to visit. Great place!!!! Amazing dinner, had the fresh Maine lobster. Great service. Still the only place in tow that offers table side service. I have never had a less than excellent meal there. Our first time at D-F-T after living in SF for 6 years. We missed many potential great dining opportunities during that time. Great food and service! See you again soon. We absolutely had the best time at this restaurant. Friendly, efficient staff, amazingly good food with some table side preparation, and recent remodel helps this gem flow oh so well. We can not wait for the next occasion to return!! The food was fantastic, as always. The staff were friendly, courteous, and polite. The place is a gem! One of the best meals we've had in our 8 years in Santa Fe. Service was outstanding. Our group of four tried multiple appetizers and entrees. The crab cakes and white bean soup were very good, but the oyster mushroom soup was beyond magnificent. 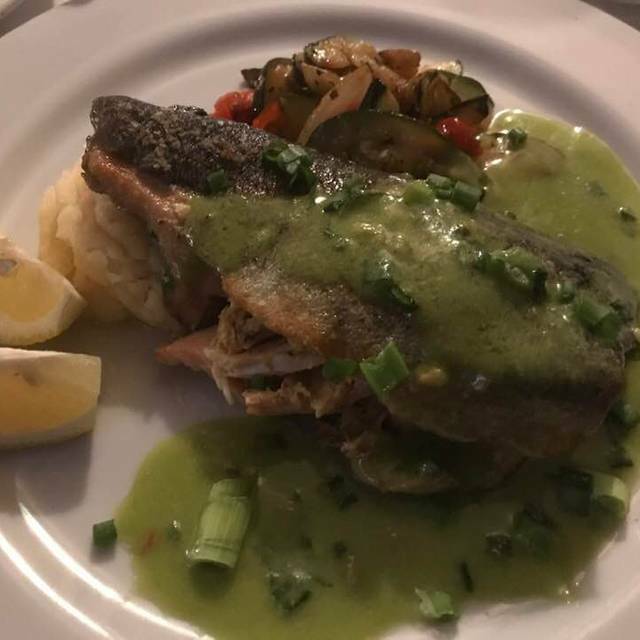 We have found very few places in town that fail to overcook fish, but the crab stuffed trout was perfect, as was the veal marsala. The New York strip steak came just slightly over medium rare, but was far more tender and flavorful than expected. 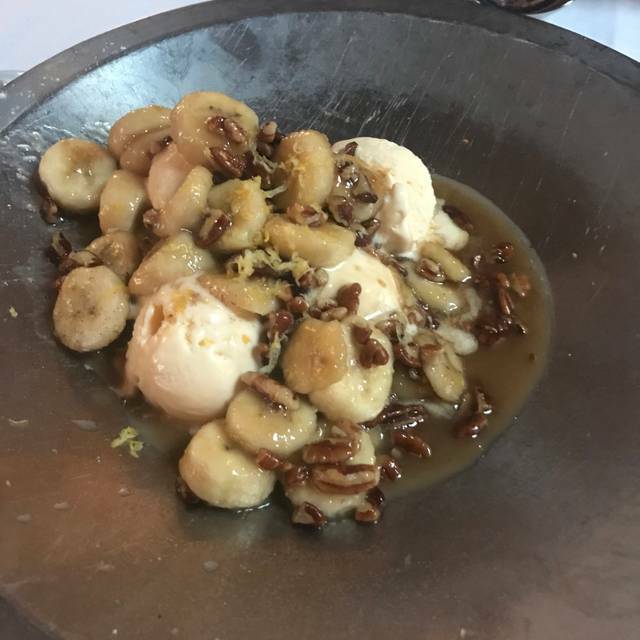 Add bananas foster prepared table side, and small but excellent bar selections and we had a truly wonderful evening! I heard about Dinner for Two from a few people. One coworker couldn’t stop talking about how awesome it was. We decided to try it out and I’m glad we did. From the moment we walked in, everyone was very friendly and attentive. We were shown to our table and the gentleman (I believe the owner) explained the drink menu to us. Shortly after, our server introduced herself as Nikki. Overall this experience was one of the best dining experiences I’ve had. The food was cooked to perfection and was delicious. 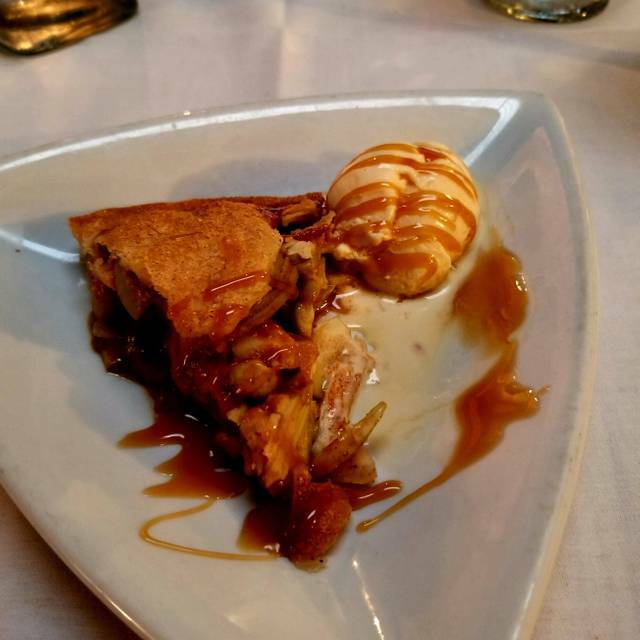 We got the mushroom oyster soup, the crab stuffed trout, and for dessert the bananas foster. The Pinot Gris paired well with the meal, and our server Nikki was very attentive. I give 5 stars, and can not wait to go back. Excellent food, service and wine list. One of the best Prime Rib I ever had!!!!! Appetizers were fantastic, the mole on the enchiladas was amazing, and the steak was so flavorful! Price was reasonable too for restaurant week. Service was lacking though and so we were disappointed to see 20% gratuity was already included with our 6 person party. The house special fillet was absolutely succulent. The veal Marsala while quite flavorful was not quite as tender as one would expect. Wait staff was friendly and attentive. Great crowd for restaurant week and all seemed to be having a good time. Will definitely be coming back. It was Restaurant Week. Reservations for four at 7PM, but were sat in their wait area until 7:25 without any service. One of the entrees was sold out. Also ran out of Bombay Gin and substituted Hendricks without asking or telling me until I noticed it on the itemized bill. Food was OK, but not worthy of Restaurant Week IMHO. Won’t go back. What a gem of a restaurant. 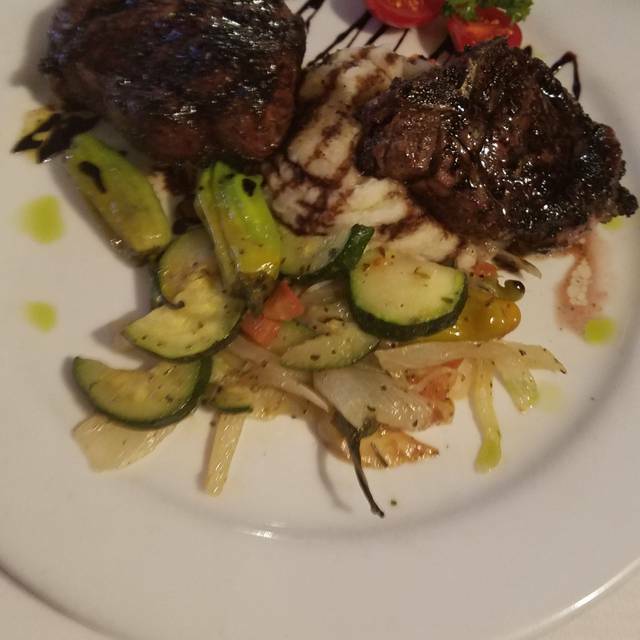 The owner went out of his way to provide my dinner mate with lamb chops which was off the menu due to “Restaurant Week.” The filet Mignon, the mushroom soup and the crab cakes were classic. Nestor provided spot in service and the Bananas Foster were the perfect ending to a great 2 hour meal. Thank You Dinner for Two! Very warm and comfortable atmosphere. The food and service were great. We went for Restaurant Week because we'e never tried it. We're already planning another dinner! We went for happy hour and then dinner during Restaurant Week. We enjoyed spending some time in the bar and then had a great dinner. Everything was really good, but the mushroom soup was absolutely amazing!